Our guitar week enters it second day, this time checking out some recent 'power trio' efforts. There is something wonderfully elemental with the combination of the guitar, bass and drums delivering a pared back but typically power packed jazz/rock. Scandinavian guitarist, and current Brooklyn resident, Anders Nilsson has been creating some very interesting recording lately. Last year saw Kalabalik with fellow guitarist Raoul Bjorkenheim and drummer Gerald Cleaver, as well as the dark and brooding solo album, Night Guitar. 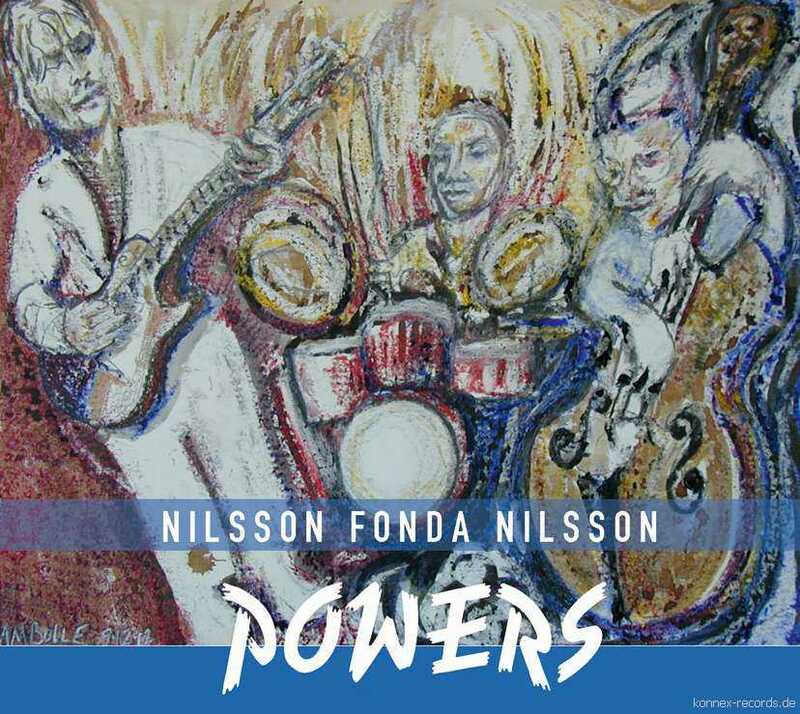 This latest, Powers, features a power trio, with Peter Nilsson on drums and Joe Fonda on the upright bass is an exciting exploration of tightly wound jazz rock. 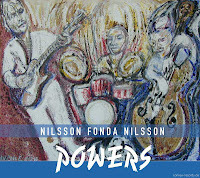 Throughout, Nilsson's guitar unravels in dark snaky lines and tight total clusters. Fonda's bass and Nilsson's drums sound excellent as well, dry and crisp and to the point. The crunchy beginning to the first song 'Powers' sets the tone for the album. In the background you can hear vocalizations for one of the musicians, spelling out the syncopations and rhythms undergirding the tunes, revealing that this must be a live in the studio recording. The energy is palpable. When we get to Nilsson's guitar solo (or rather perhaps it's still the main melody?) the tone is biting, the lines are clean, and the energy is high. The second song, 'Tri-Cep', is a more open affair musicians exploring pushing different directions, indicating that this is not a one trick trio. The bassist on drummer Dylan Ryan's album is no stranger to the power trio. Devin Hoff, upright bassist for Nels Cline Singers is a powerful player whose driving lines support this fantastic organism. Indeed, the whole group group works together quite naturally. 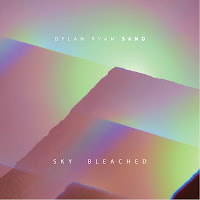 For example, the second tune, 'Barocco' begins with a bright and strong polyrythym from drummer and band leader Dylan Ryan. Hoff slips in between the accents and beats, filling spaces between the complex and buoyant grooves. If drummer Ryan is this cell's nucleus, the cytoplasm is Timothy Young, who's guitar contributes to the overall harmonic gel of the group. His playing is not the flashy kind, but more in the style of say Nels Cline or Ben Monder (I'm thinking of Monder's album Dust right now). His work on a song like 'Psychic Jouney' is a study in texture and tension. Giving way from simple melody to a crushing chordal crescendo, it's a powerful song that eschews flash for substance. The follow up track 'Mayan Sun' is a brief sonic improv that is tough but accessible. 'Time Stalkers' has a sound and feel reminiscent of Bill Frisell's work with the Ginger Baker Trio. The rather dark monstrous metal riffs that kick off 'White Magic' morph quickly into shards of dangling melodic lines. The rhythm section pounds out the surf beat until the opening bass lines of the closing 'White Nights' change the mood drastically. Overall, a really exciting album and an introduction to a new group from which I hope to hear more.